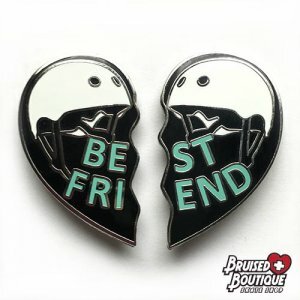 ﻿ Best Friends Pins - $17.00 : Bruised Boutique, For Derby. By Derby. Are you a BE FRI or a ST END? Give your BFF a piece of your heart.